New Idea magazine has today announced the launch of TV Extra, a 16-page TV magazine insert devoted to covering the latest TV gossip and previews. The first issue of TV Extra includes features on My Kitchen Rules (a key promotional partner in TV Extra) and new dramas Wanted and Molly — all productions of the Seven Network. New Idea is published by Pacific Magazines, which comes under the Seven West Media banner — and which also includes the Seven Network — so don’t expect much coverage of other network programs if this launch announcement is of any indication. 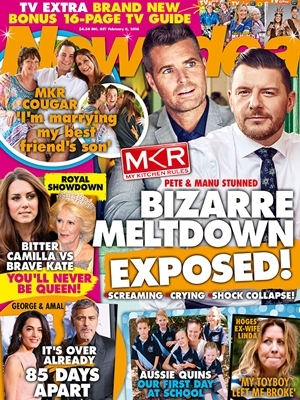 TV Extra is a modest re-entry into the TV magazine market for Pacific. In 2002 the company tried to tackle rival magazine TV Week head on with What’s On Weekly. The battle of the mastheads was also matched by a legal battle over which magazine had control of the Logie Awards. 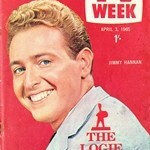 ACP Magazines (now Bauer Media) claimed that it had purchased the rights to the Logies when it bought TV Week out of the joint venture it had with Pacific, while Pacific claimed that the Logies were not included in the transaction and would remain tied to Pacific and its new magazine. The battle was eventually won by ACP, where it was deemed that the Logies was property associated with TV Week. With that battle lost, What’s On Weekly had little else to offer in the marketplace and was off the shelves by the end of the year. Women’s magazines introducing TV inserts is nothing particularly new. In 1980 The Australian Women’s Weekly launched TV Weekly, which later became the simple Your TV Magazine and then TV World. 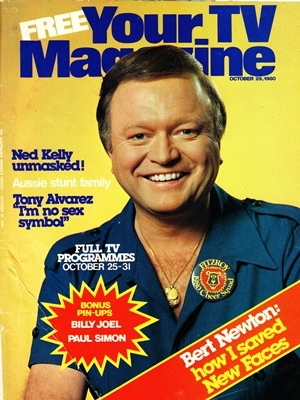 The TV guide continued as an insert in the Weekly until the magazine switched to a monthly publication in 1983. Woman’s Day also tried to get in to the TV space with TV Day. 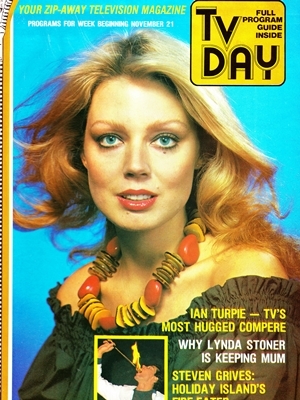 The 16-page ‘zip out’ magazine was launched in November 1981 but failed to last even 12 months. 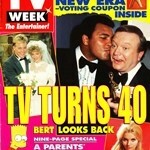 I stopped buying TV Week more than 20 years ago! Why? They used such a piddling, penny-pinching excuse as to why they spelled “colour” without the ‘u’! Because they wanted to save money on ink! I mean….REALLY? Are they that tight at TV Week that they have to mis-spell a word, just to save .000000001 of a cent? GET REAL, TV WEEK! or should that be TV WEAK? That’s not true, Neil. Where did you get that from? Fact is that most commercial media in Australia (including TV stations, print media and radio) adopted American grammar and spelling styles, particularly in the 1970s and 1980s, so that words like “colour” were commonly spelled without the “u”. It was not something unique at all to TV Week. For instance, The Age constantly listed Neighbours in its TV guides as Neighbors. And in the 1970s the commercial networks used slogans like First In Color, Living Color and Color Your World to promote colour television. The ABC resisted the trend, however, and stayed as much as they could with the British/Australian conventions. Whatever the reasons, Andrew B., it’s still disgusting! Hearty congrats to ABC for resisting the push! We’re Aussies, not Yanks! We should use correct spelling rather than Yank corrupted spelling conventions. After all, we got our language from England, not the Yanks! @Andrew M., do you remember the machine’s format? In the mid-1970s there was a series of ads promoting Philips’ VCR format(the letters in the acronym became a more generic reference to video recorders, regardless of format). Philips VCRs used cassettes where the feed reel sat on top of the take-up reel and the cassette shells were made of a stiffened cardboard, yes… that’s right…. cardboard! These beasts were notorious for chewing and mangling their tapes! The VHS system was launched in 1976, Beta four years earlier, but these formats took some time to get on the market here. In NSW and Qld., VHS was the clear winner of the “format war” but in Vic., SA. and possible WA, Beta retained a degree of popularity. If you check out E-bay, there’s a surprising amount of beta machines for sale on that site. People are now using these machines(VHS or Beta) to transfer their tapes into digital form, either to store on hard-drives or to burn to DVD, so those old beasts still have their uses, though I doubt anyone would be bothered with that rubbishy Philips system! Do you remember the magazines “Electronics Australia” or “Electronics Today International”? That’s where I read about the VCR formats. Electronics Australia had a companion video publication, simply called “Video Mag”, a great publication for learning about the then-new technology. I even remember reading about a format called Video 2000. This format had double-sided tapes(sort of like an audio cassette on steroids! ha-ha). You could record, say 2 hours of content in one direction, flip the tape and record another 2 hours in the opposite direction! Somehow the format didn’t quite tickle our fancies back then, might’ve had something to do with the unorthodox labelling of the transport controls. Seems to me, the further down the “home” page an article goes on this site, the least likely comments are to be made on it. People seem to lose interest very quickly on some articles(or side-issues inspired by the articles). Looks like people seem to have lost interest in this article. By the way, You haven’t answered my question: ” Do you remember the magazines “Electronics Australia” or “Electronics Today International”? ” There was a third electronics mag called “Silicon Chip” appeared in the early 2000’s(and still active). Just wondered if you remember them. What’s your impression of these magazines? I should point out that I dropped Electronics Australia after a January, 2000 editorial proclaimed “Welcome to the new Millennium”! A full year too early! This destroyed the magazine’s credibility irreparably with me. The new millennium started on 1st January, 2001(along with the 21st century). 2000 was the LAST year of the old millennium and of the 20th century. I wasn’t intending to steer away from the main topic but, by mentioning of these magazines, and the way they covered the technology behind TV and the equipment available to record it, it was a worthwhile sideline. The VHS-vs.-Beta format war, the other formats that came, and went just as quickly, EA’s yearly list of TV stations(and their translator setups for regional broadcasters), It was all very interesting, and shed light on TV history from another angle, as it were. Television in any country, not just Australia, is not just about the shows we remember watching, good, bad or indifferent. There’s the technical side as well. The cameras, microphones, mixing consoles(audio as well as video), telecine equipment, VTR machines and an array of other “bits & bobs” that made it possible for our TV stations to get those shows out to us viewers. And that’s where magazines like “Electronics Australia”, “Electronics Today International”, and to a lesser degree, “Silicon Chip” magazine, though the last-named mag was oriented more toward the electronic kit building hobby than it was to TV equipment. But these magazines, along with EA’s offshoot, “Video-Mag”, The Video Age” and other like-styled publications also looked at the technical side of TV more than the “celebrity” side. I wish there was provision to edit a post after submission. I don’t think my last post read too well. Sorry about that! I never bothered with women’s magazines(except if they had stories about ghosts in them, as one 1973 issue of Cleo had such an article) and as for TV Week and others, I just got bored with them! They’re redundant now, anyway, thanks to that little button on our Digital TV or Set-Top-Box’s remote control, EPG(Electronic Programme Guide).